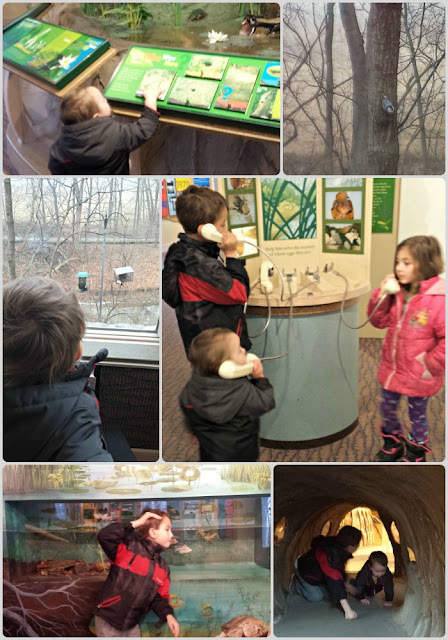 Earlier this month we went on our first field trip of 2016 to a local Nature Center. 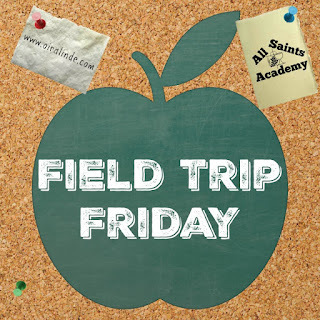 Luckily they have an indoor education building where we spent our time learning about habitats, ecosystems, wetlands, animals, and what the park is like in the winter. I told the kids we should come back in the spring to see how different everything would be like! Favorite part: I liked where they had a craft set up to make owls and color winter pictures. The kids enjoyed crawling through the habitat hole and looking at the underground exhibit. I think my husband appreciated the bird station where we could watch birds swooping down at the lake and eating at the feeders. We spotted a couple Great blue herons! Least Favorite part: It was cold so we didn't go on any of the trails. Next time! Will we come again? Definitely. Since this is so close to our house I plan on bringing the kids back at least once during each season so they can see the changes over the year.